Period of policy or guarantee is only annual and extended for the following year. So you can have the freedom to extend for the next year or you can stop and switch to other health insurance products, meaning you have a chance to see how the service and other factors before you continue to extend the insurance. 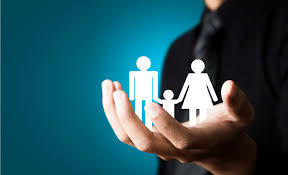 Health insurance programs are usually long-term in line with your life insurance protection in this product. Due to its additional nature or Rider. This advantage is very useful when we no longer get health insurance facilities from where we work when the next pesiun, health insurance protection in this product will continue to run.